Hi friends and welcome to our Art with Heart July Blog Hop. Tonight the team are sharing creative projects featuring Designer Series Paper. From now until July 31st Stampin' Up! have a special offer on a select range of DSP's. Buy 3, get 1 FREE! We hope our blog hop inspires you to get crafting with Designer Series Paper. When I read what our theme was for tonight's hop I thought, how am I going to choose just one DSP pack to feature, when there are so many fantastic designs available. Well I did end up choosing and my project is made using some of the gorgeous designs from Garden Impressions. I've made a large matchbox style box to hold 6 of the Narrow Note Cards & Envelopes. I absolutely love how this little set of note cards turned out, my only problem now is to decide whether to give them away or keep them for myself. Thanks for joining us on our hop tonight. If you're already hopping then you may have come to me from the lovely Rebecca Jacovou's blog, but hops are full circles, so you can start anywhere and just keep on clicking the 'next blog' button at the end of each post to get back to where you started. Now it's time to see what the equally lovely and talented Catherine Proctor has created. If you find a broken link or have come to this blog hop from a different entry point, below is a list of tonight's participants. If you're leaving a comment below, thank you so much. 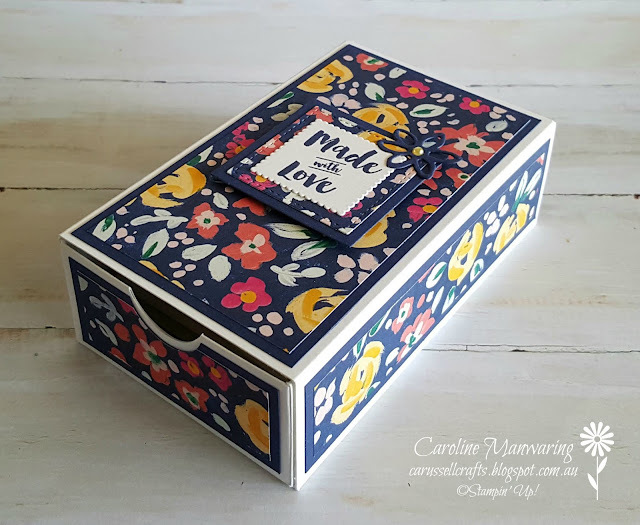 I love your matchbox Caroline and this is one of the prettiest DSPs in the catalogue. Would you mind sharing the template with me, this is such a cute idea! What a fabulous gift set! Anyone would love to get it, but I'm like you and would find it hard to give away. Fantastic idea, the DSP is beautiful. Could you share the measurements with me as well, please. 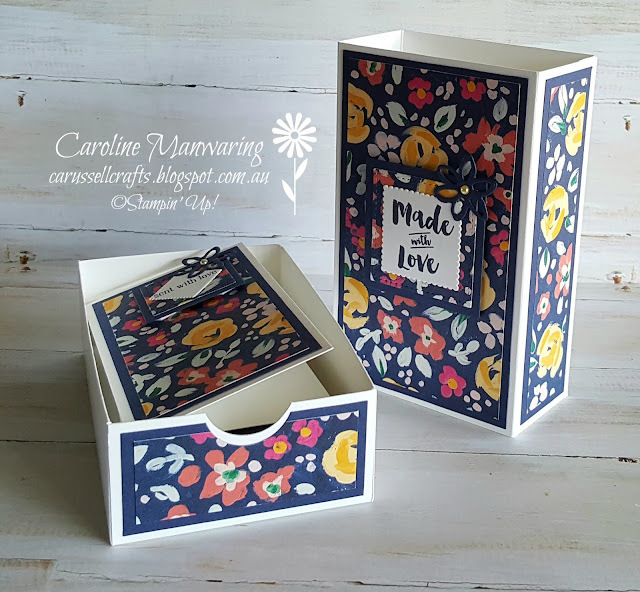 What a gorgeous gift set of cards in that neat little box, just beautiful Caroline. What a fantastic project. 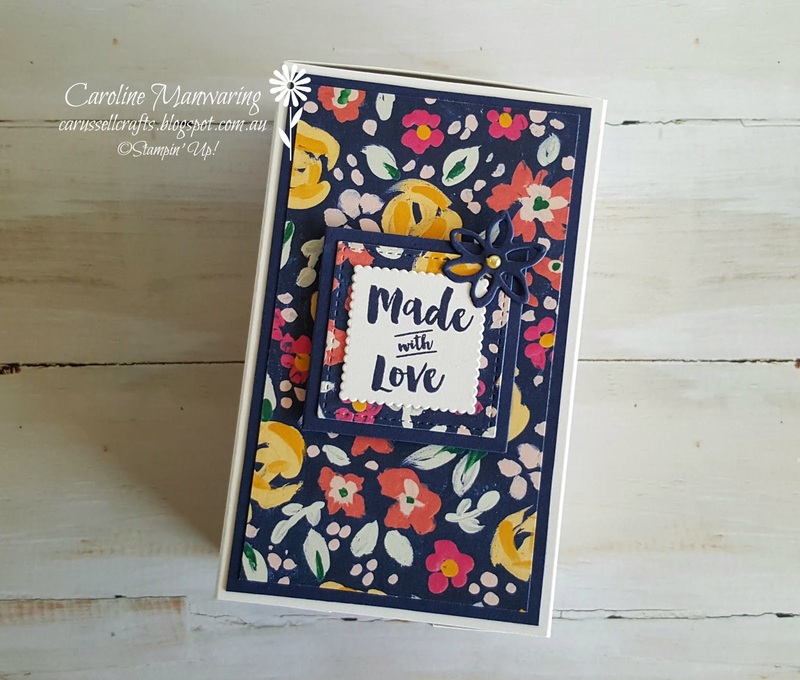 I love the matchbox idea and such a great way to give the narrow note cards as a gift. I love that DSP as well reminds me of impressionim paintings. 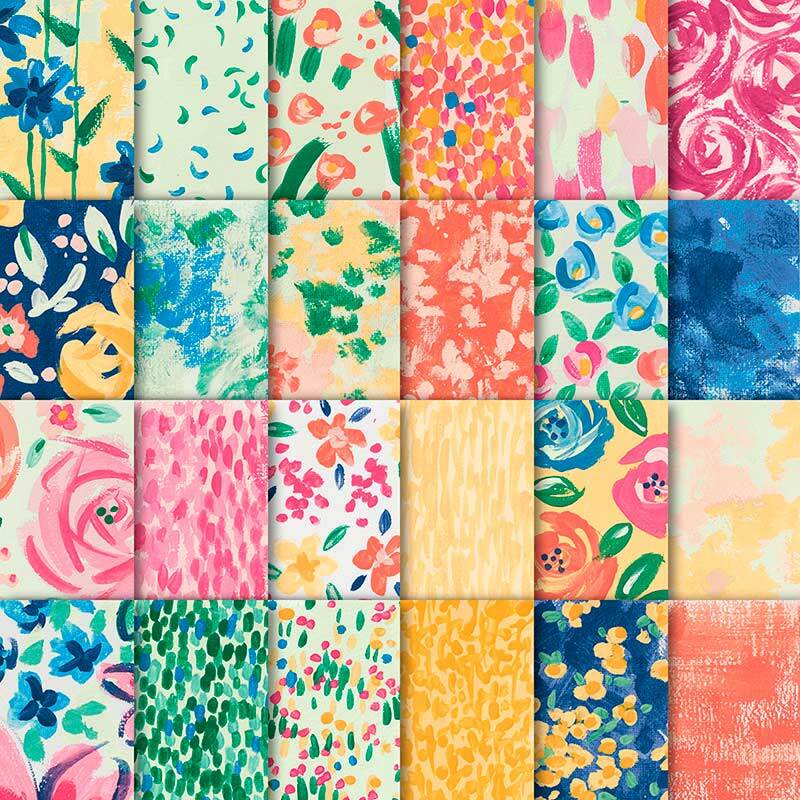 I love your design on the note cards too! such a great project Caroline. I love the cards but the matchbox is my favourite. 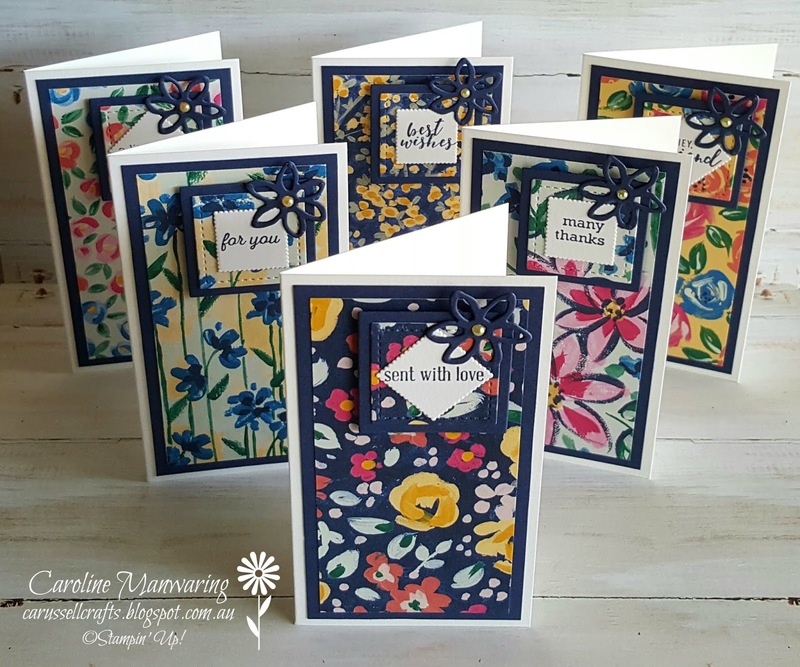 Thanks for taking part in the DSP blog hop. In line with new Data Protection Legislation (GDPR), by commenting you do so in the knowledge that your name & comment are visible to all who visit this blog and thereby consent to the use of that personal information for that specific purpose. Thank you for taking the time to comment, I really appreciate it. 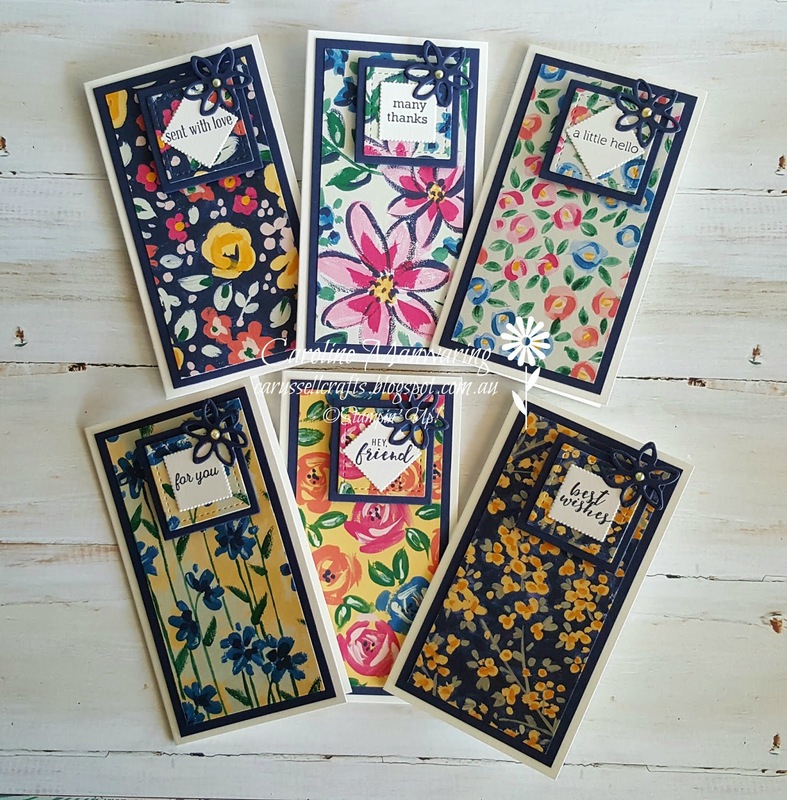 Sue's 3" x 3" cards. Hi, my name is Caroline and I live in Country NSW. I'm a wife to a wonderful man and mum to 2 equally wonderful adult sons, a mother-in-law and soon to be again in the not too distant future I hope, and Nan to 2 gorgeous grandchildren. 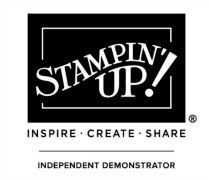 I have been an Independent Demonstrator with Stampin' Up!® since 2015. It was one of the best decisions I made. As a long term customer, it was just the next step in my card-making/paper-craft journey. I love receiving the new catalogues early and all of the other benefits that come with being a demonstrator that are too many to name here. Contact me if you would like to know more about becoming a demonstrator and learning just what all those benefits are. Please stop by often to see what I have made with simply the best products on the market or add your email address in the box below and you will get notified each time I post. P.S. 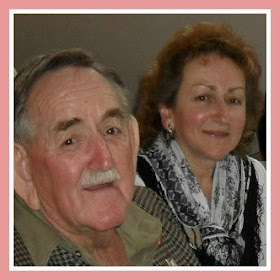 My blog name is a combination of mine and my dad's first names - Caroline and Russell. My dad passed away in 2015 and I have named my blog in his memory. Me and my dad - Russell. Shop online 24/7. Just click on the image below. You'll find all of our wonderful products from our current catalogues here. And don't forget to check out the Clearance Rack too. Happy Shopping! Click here to see my class schedule for 2018 and information on how easy it is to join my team. You can also request a copy of any of our current catalogues. I'd be happy to post one out to you. Picture tutorial for purse or mini bag. This is the personal blog of Caroline Manwaring, Independent Stampin' Up!® Demonstrator. 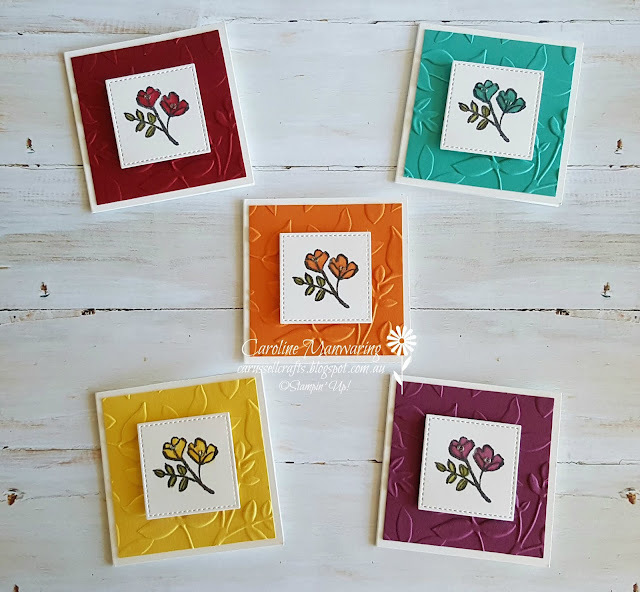 Stamped images shown on projects are ©Stampin' Up! 1988-2019. All other content is © Caroline Manwaring unless otherwise attributed. Designs and projects are meant for inspiration only.